← It’s a Boy … AND a Girl!! And it was quite a week! The new snow frosted the buildings. 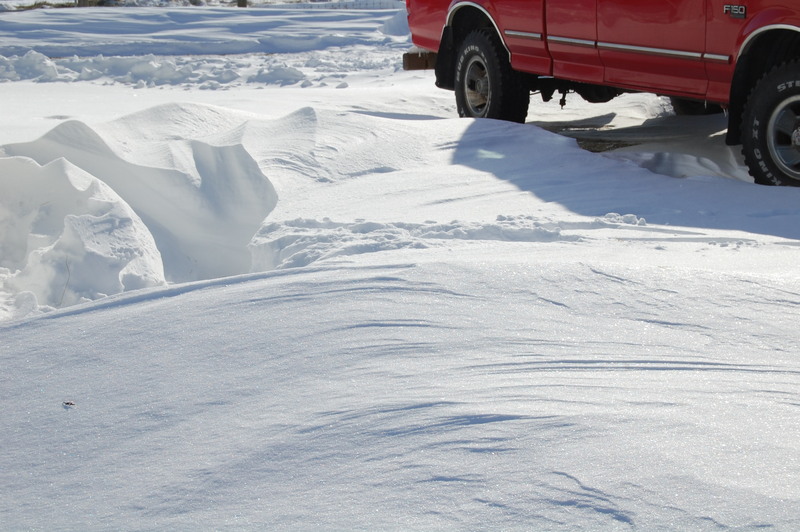 The winds rearranged the snow into drifts with sparkling glitter. 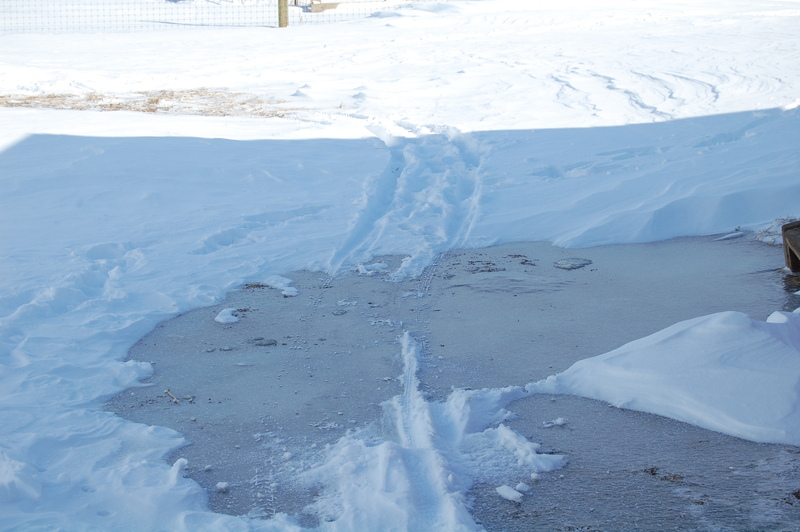 Frozen puddles created hazards under the new snow. 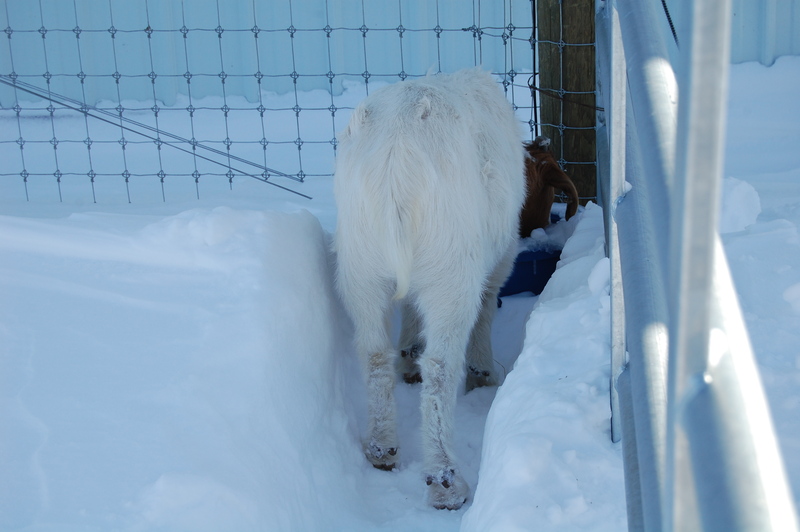 I made a narrow path to the non-birthing goats’ water. They pull up and back ‘er out. 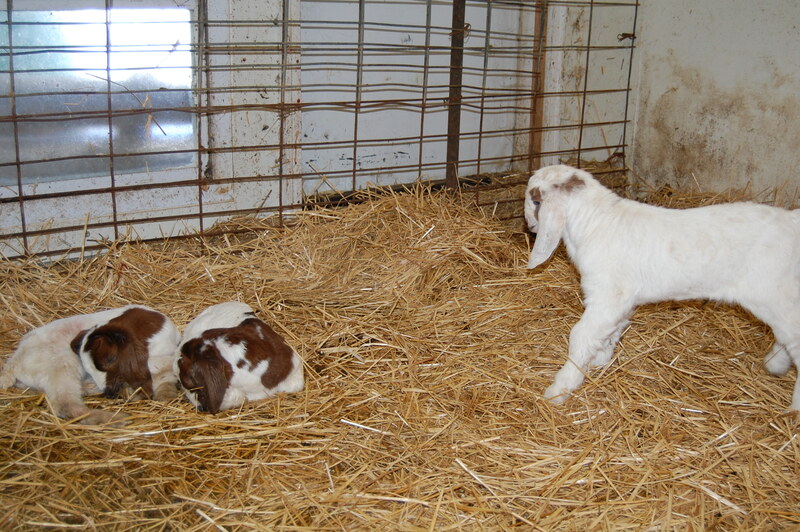 Pumpkin Pie is gracefully taking a back-seat to the baby goats. The snow, the drifts, the wind, the bitter cold, the extra chores made it a bit crazy – but oh, the smiles make it worth it! Wouldn’t you agree? 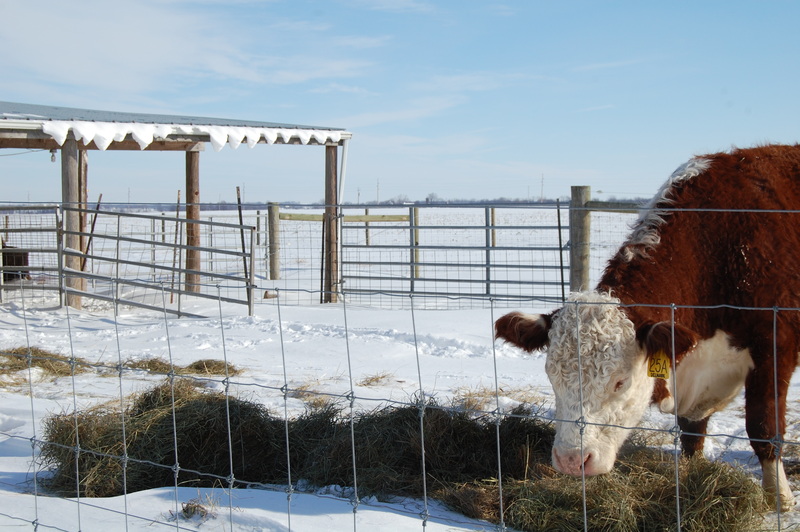 This entry was posted in Boer Goats, Country Living, Polled Herefords, Work/Career and tagged Boer goats, country animal photos, country living, Illinois winter, Polled Herefords, snow. Bookmark the permalink. Aha, they come with a mind of their own! 🙂 Those babies are adorable! 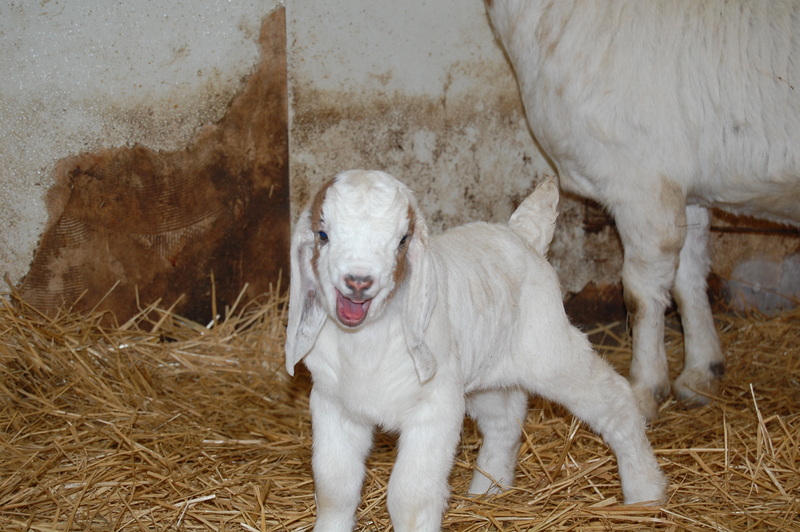 Nothing is as cute as baby animals. They look like they are showing personality already. I agree with the baby animals being so darn cute!! Personalities are showing, too…lovable (so far). Now just what was Snowball saying in the last pic? Oooooweeeee, he’d better be careful. Punkin’ll give ‘im the stink eye and then stomp him. I wouldn’t mess with that Pumpkin Pie. Today is sunny …. But only 3 above zero at 1:00 p.m. I’m glad you are enjoying the pictures! MAAAAAAAAAAAAAAAAAAAA I love that last shot!!!! If you have a fast melt you and everyone in your neck of the woods are going to be in trouble. We are having a fast melt here, but we are dry so the soil is soaking everything up! I’m glad you have gotten much needed moisture. I’m not looking forward to the mud … but will sure take it to have warmer temps! OMG!! 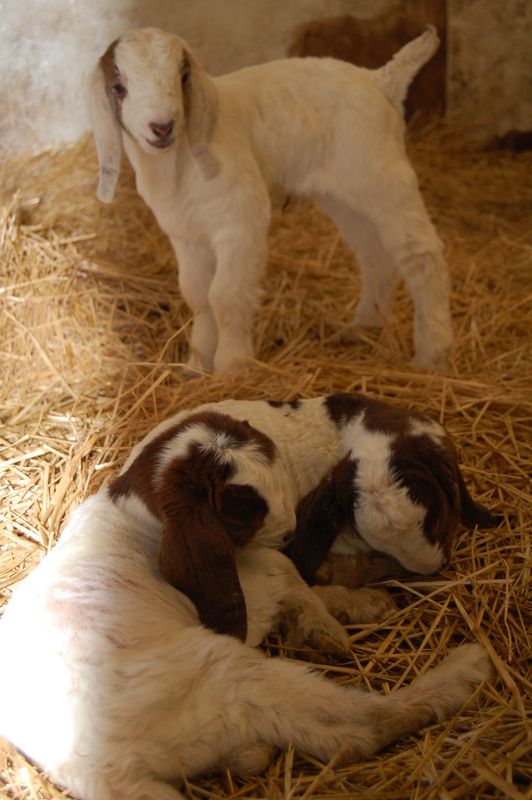 Too much cuteness on the farm!!! By the way…I love your header!!! 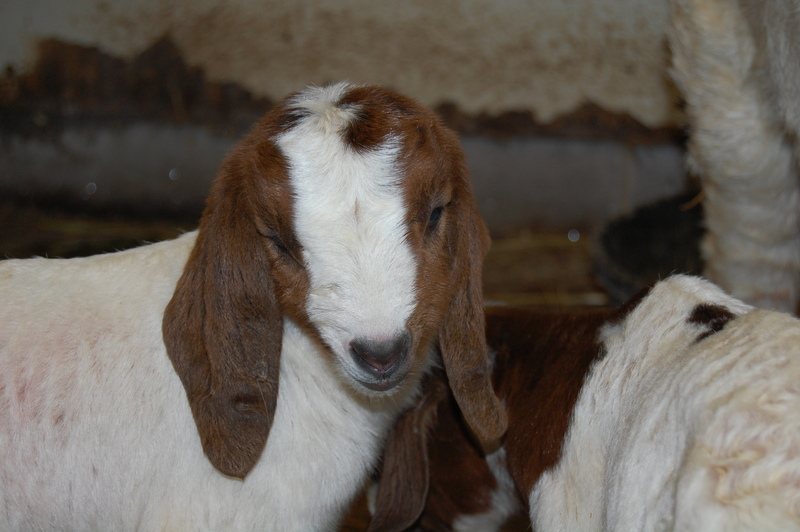 Marla, We have a boer doe that is pregnant, but really aren’t sure as to the due date- any suggestions? I can send photos if that would help! Oh my, I was really off when I judged by appearance. I would say that she’ll start making an udder a month before she kids….watch for it to get larger and tighter the closer she gets. I think we’ve been about a month with an udder– seems to be much bigger this weekend.. Our other doe had a stillborn a couple of weekends ago so we are particularly anxious! She is probably getting close. Watch for a mucous-y discharge … then you are within hours. It is a nerve-wracking time, especially with the recent stillborn. 😦 Sorry to hear that. 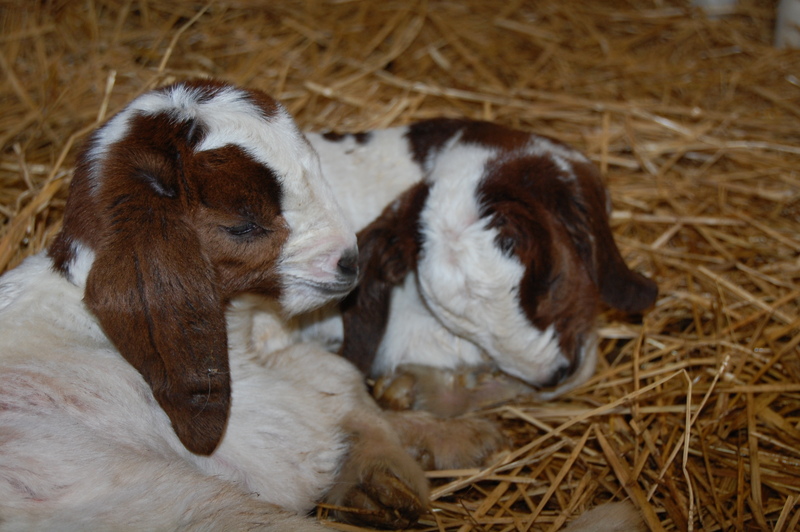 Marla– We had kids this morning! You were right on it! She had a boy and a girl, only the girl survived, but we feel very blessed just to have the one!! 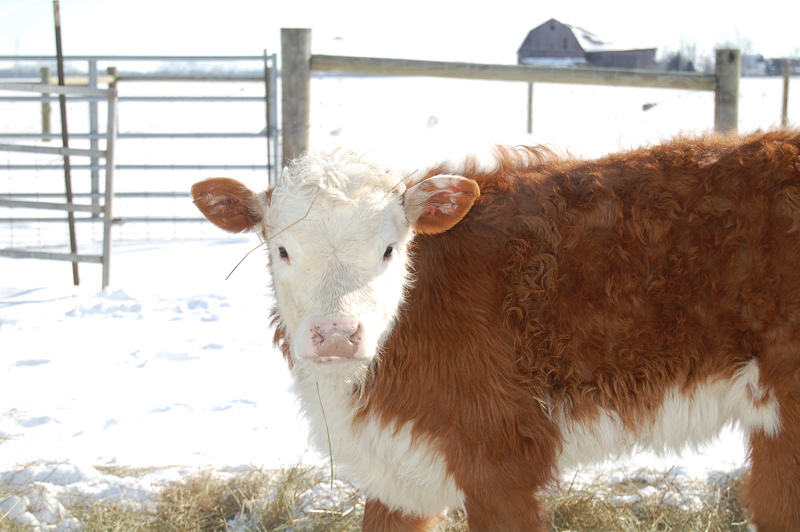 It has been a nerve racking time, but now the worry about whether she is eating enough— this is really stressful! It certainly is stressful! I am glad to hear you have a little doe on the ground. Keep me posted!